Recline with ease in this manual reclining chair. 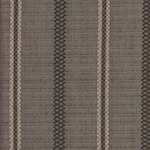 Traditionally styled rolled arms are decorated with nailhead trim and have soft padding. 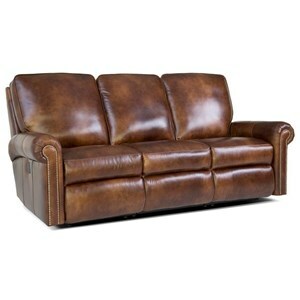 The full chaise cushion provides full body support, so that you can get comfortable. 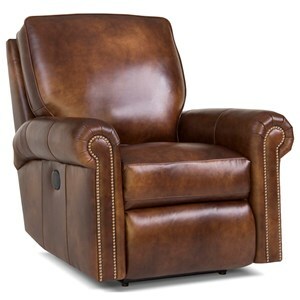 The 416 Traditional Manual Reclining Chair with Rolled Arms by Smith Brothers at Sprintz Furniture in the Nashville, Franklin, and Greater Tennessee area. Product availability may vary. Contact us for the most current availability on this product. The 416 collection is a great option if you are looking for Casual furniture in the Nashville, Franklin, and Greater Tennessee area. 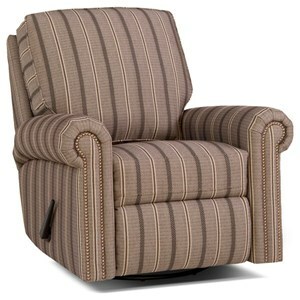 Browse other items in the 416 collection from Sprintz Furniture in the Nashville, Franklin, and Greater Tennessee area.